Her Majesty’s Palace and Fortress the Tower of London is one of three UNESCO World Heritage sites within Greater London – and should be on the itinerary of every London visitor. Started by William the Conqueror in the 1080s, it was extended and reinforced throughout the middle ages to become the mightiest fortress of its time. Today it is home to the Crown Jewels – conservatively values at some £20 billion – the Yeoman Warders (or Beefeaters as they’re known, even though they don’t like the term) and the ravens: legend has it that if the ravens leave the Tower than England will fall. But in the past it has been a royal palace, a menagerie, a prison, the Royal armoury and the site of the Royal Mint. It is also the site of the execution of three queens, the murder of two kings and the burial place of two saints. It has ghost stories, tales of daring escapes (and tragic failures), suits of armour worn by Henry VIII and Charles I, and ancient ceremonies that still take place every day. 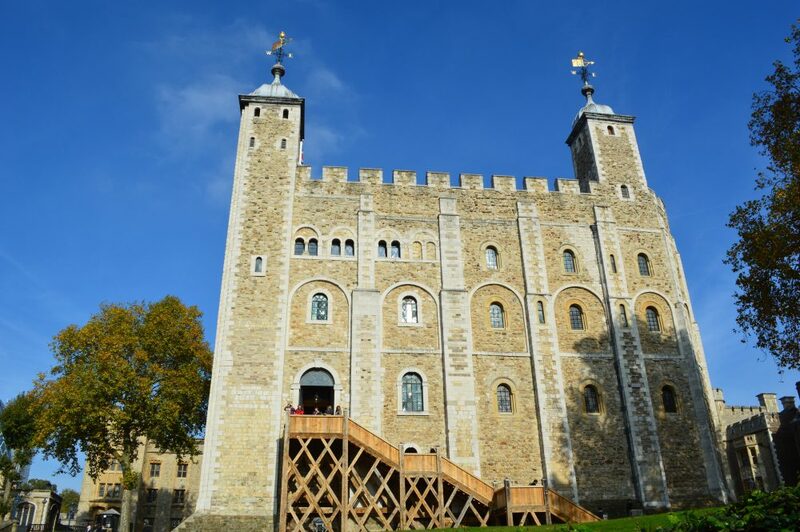 A visit to the Tower is a great way to spend some of your time in London – either as a trip in itself or as part of a full day tour, and I can help you make the most of your time there, showing you the best it has to offer and telling you some of its stories (do you want to hear about when the Crown Jewels were stolen? Or when Elizabeth I was imprisoned? Or when Guy Fawkes was tortured? ).